Last modified: February 19, 2019 at 8:49 am by Charles C.
Lost or Damaged your AgeVisor Touch Power Supply? 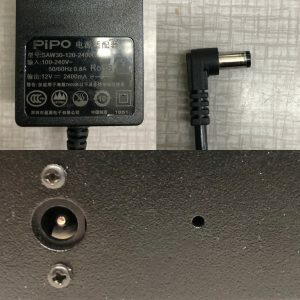 Here are some recommended power supplies on Amazon that we’ve reviewed and/or tested that you can purchase to replace a misplaced or damaged AgeVisor Touch Power Supply. 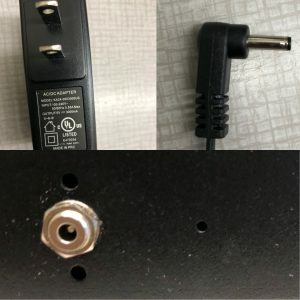 NOTE: If you are having issues powering on your AgeVisor Touch please see post here BEFORE purchasing a new power supply. You may not have a bad power supply. Note: There are Two types of power supplies with different voltages and power jacks – see below and make sure you have the correct one. Visit the Amazon links above the pictures provided to purchase a replacement power supply for your AgeVisor Touch. Use the pictures and specifications provided to ensure you purchase the power supply specific to the AgeVisor Touch you currently own. The following 5V DC 3 Amp 3.5mm x 1.35mm Plug Center Positive power supply is compatible with the 5V AgeVisor Touch Model seen below. Below is what the original charger and jack and plug look like. Any of the following 12V DC 2 Amp 5.5mm x 2.5mm Center Positive Plug power supplies are compatible with the 12V AgeVisor Touch Model seen below.